Kryvyi Rih is a modern industrial city. It is well known for its length of 120 kilometers thus taking third place on the list of the world’s longest cities. Kryvyi Rih wasn’t meant to be so long. The foundation of the city is quite interesting and it leads us through the centuries to the Cossacks’ time, year of 1775. According to the legend, a good Cossack Rih used to live at that time. He was lame in one leg because of hard wound, that’s why people called him Curved Horn (in Ukrainian Kryvyi Rih). He has built his home at the intersection of two rivers the Inhulets’ and the Saksagan’. Nobody passed by this place as Rih was a great storyteller and everybody wanted to listen to his adventures. Many people started settling there. Since that time the city has been called Kryvyi Rih. Kryvyi Rih developed with discovering of new ironstone deposits along the Inhulets’ and the Saksagan’. Nowadays you can find mines and metallurgical enterprises in the city, including one of the world’s biggest opencast mine – Pervomais’k. It is 3 km long and 400 m depth. The city is famous not only because of its production complex, but also its numerous sights. You can expect a wonderful view from the boat station, which is located in Gasety Pravda Park. In summer time you’ll have opportunity to go by boat or catamaran. It is a historical center of the city. 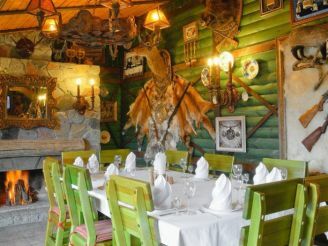 Not far from this place on Karl Marks Street you might find many cafes, restaurants, entertaining complexes and the Taras Shevchenko Music Drama Theatre as well. Karl Marks Street abuts on Vysvolennia Square, a big traffic interchange. Going along Myru Avenue your attention will be attracted by a very beautiful many-tear belfry with high stained-glass windows. It is St George Belfry. The avenue leads to the road circle of 95th Quarter. It is situated in the modern center of the city. It is the widest part of Kryvyi Rih. The City Hall, different offices, entertaining complexes, night clubs, cafes and restaurants can be found here. Four branches lead from the road circle of 95th Quarter: Myru Avenue, Gagarina Avenue, Metalurhiv Avenue and Volgograds’ka Street. At the end of Gagarina Avenue you can find a bus station. Within three minutes of driving from it there is a railway station “Kryvyi Rih-Holovnyi”. 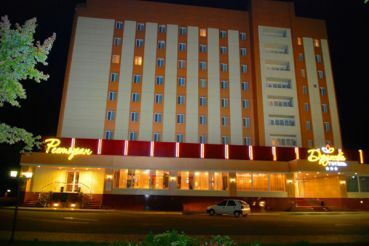 Another place of interest is situated on Metalurhiv Avenue. It is Metalurhiv Stadium, where different soccer games and city events take place. Nearby there is a beautiful Geroiv Park, a great place to have a rest. You’ll be impressed with beauty of the Flower Clock. Diameter of a clock dial is 22 meters and its hand is 12 m long. More that 20000 flowers grow on the clock dial presenting an amazing composition. At the end of Metalurhiv Avenue you might see very big structures. 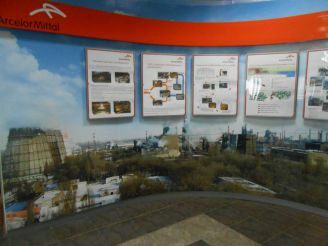 They are cooling towers being the part of a great industrial company “Arcelor Mittal Kryvyi Rih”, in former times – Kryvorizhstal. It was considered to be one of the biggest factories in the USSR. The Kryvyi Rih Metrotram is another place of note. It is the one in Ukraine partially underground fast tram system 18 kilometers long. You might use tram №1 or 2 to get to Budynok Rad Station. There you can find a beautiful square and the City Hall with a cascade fountain in front of it. The fountain is illuminated at Christmas time. Kryvyi Rih City Circus can be found on 22th Partz’izd Street. There you’ll enjoy performances of world famous circus artists. Volgograds’ka Street leads to Artema Square. Driving farther your attention will be attracted by the Savior-Transfiguration Cathedral. This majestic building in sky blue colour with golden cupolas is located on 200th Kryvyi Rih’s Anniversary Square. The street goes wider and leads you along several housing estates. On “KRES” station “Academy of Movement”, a unique theatre of musically-plastic art, is located. It is the family theatre, into which Antonina and Oleksander Bel’s’ki, chief stage directors, have put their whole soul. It is an incredible mastery to explain emotions and a performance idea without any word. After enjoying wonderful performances, we’re going to 44th Quarter. You are well advised to visit this place in the evening. The street, houses and trees are buried in illuminations. There is a musical fountain there, which is seemed to be dancing in tune with music. 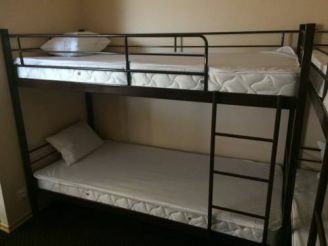 This place simply shouldn’t be missed by you! It takes about 30 minutes to get from 44th Quarter to the north part of the city. On the micro-district of Damans’kyi there is the Culture House and a beautiful colourfully illuminated fountain in front of it. A little open air museum can be found there too. 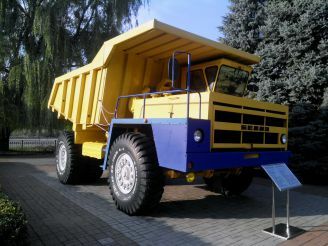 You’ll have opportunity to see a freights car and mining machines used for processing, extraction and transportation of iron ore in Kryvyi Rih’s opencast mines. Not far from the Culture House there is one of the most beautiful places in Kryvyi Rih. It is Kryvyi Rih Botanic Garden being a perfect place for walking. You’ll be impressed with its numerous flowers, trees, alleys and a pedant bridge. Being there you might see a wonderful sunset on the green banks of the pond enjoying calmness and peace.